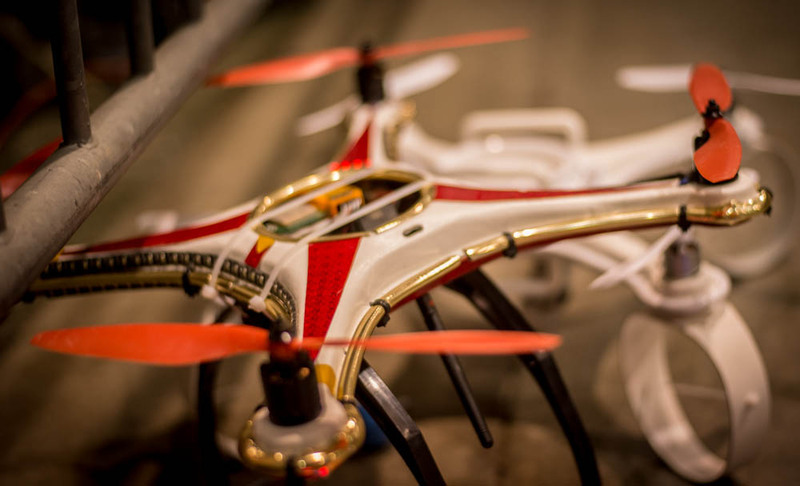 The FAA has decided that drone registration may be its best bet for making sure drones don’t become a national nuisance after the Christmas gift-buying rush. But will it really work? And does it take into account DIY drones? I’m skeptical. You can read my take at Slate. Medfield Mental Hospital from the air. I recently bought a Phantom 3 Professional, operating under the logic that it costs $1200 and is therefore much more economical than a hexacopter. Myself and my partner, Daniel, are working on developing expertise in 3D mapping with a UAV, and I’d been looking for a new model capable of waypoint navigation and shooting high-quality, undistorted still images. My Phantom 2 still worked great, but it wasn’t great for mapping – built to use a fish-eye lens GoPro camera, and unable to carry out waypoint navigation without extra, expensive parts. I was really sold on buying a Phantom 3 Pro after I visited the DroneDeploy offices in San Francisco and watched a demo of their waypoint navigation software, which is paired with their cloud computing processing. 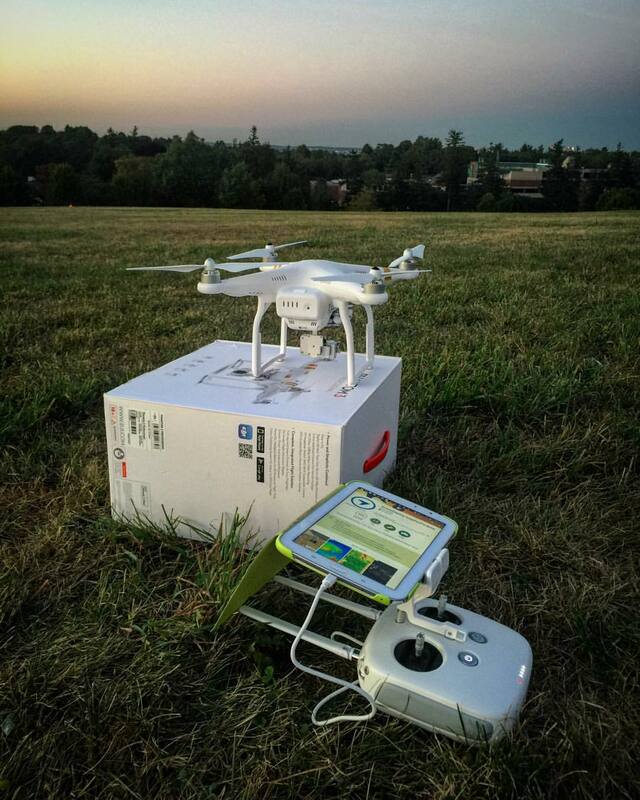 You fire up your mobile phone or tablet, sync it with the Phantom 3, then draw a box around the area you want to map. The software calculates how many times the Phantom will need to cross the area, the altitude of the area, and how many pictures are required, then you press a button. The Phantom proceeds to launch itself and carry out its work without your input, though you can always call it back from the controller. Simplicity. I like it. So, I bought a Phantom 3 Pro— and since I live in the giant no-fly-zone otherwise known as Washington DC, I had it shipped to Daniel in Boston where I regularly visit him. On my last visit in early September, we decided to test out DroneDeploy and the Phantom 3 by using it to map the abandoned Medfield State Hospital in Medfield, Massachusetts, which I’d found out about on Atlas Obscura. (Scenes from “Shutter Island” were filmed there). Unlike most creepy, abandoned mental hospitals, this one had been opened to the community for use as a park, while the town decides how best to redevelop it. It’s a sprawling complex with red brick architecture and lush greenery around it in summer, with the Charles River bending towards one corner. My new Phantom 3, configured to run DroneDeploy off my Galaxy Note 8.0 tablet. We parked across the street and walked in, and identified a parking lot where we could easily launch the drone from a flat location. DroneDeploy synced up easily enough with my Phantom 3, and I chose to map about half of the area, going conservative for a fist-time experiment. I pressed the button. It worked great: the Phantom efficiently flew off in the designated pattern, in neater lines then I could manage myself. It retuned to home in about 15 minutes, and landed itself, albeit with more force then I’d like. I may, in the future, switch back on manual control of the Phantom as it comes in to land after a DroneDeploy mission, as I prefer to catch it rather than landing it. Since DroneDeploy missions currently can’t be flown with the camera at an oblique angle, I manually shot my own oblique imagery, with the Phantom 3 camera set to shoot images every five seconds. I flew reverse transects from the DroneDeploy pattern, and – following advice from DJI’s Eric Cheng – flew the drone in large, slow circles over the area I want to map. I probably should have worked with alternating the altitude more, but I was pleased enough with the images I was able to collect. The Phantom 3 handles even more smoothly than the Phantom 2, and shoots beautifully crisp still images with its 12-megapixel camera, without the distortion that used to annoy me with the GoPro. 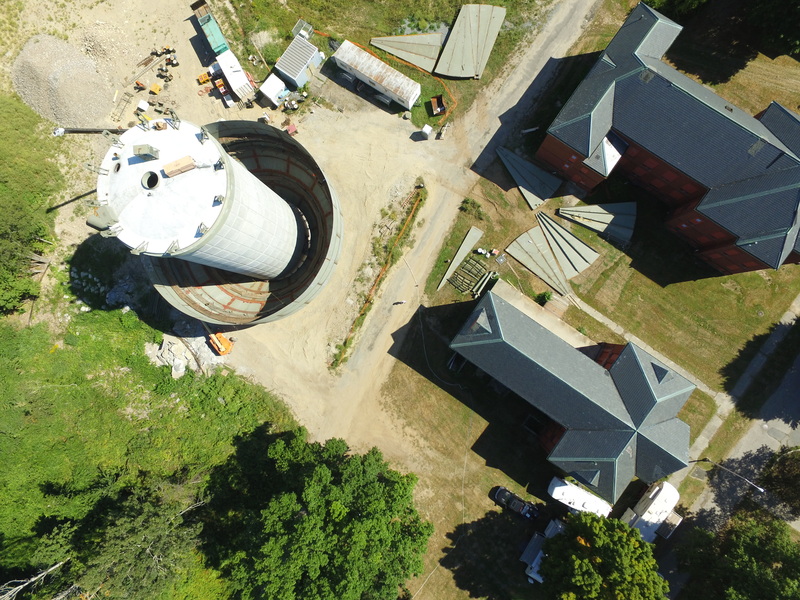 We used both DroneDeploy’s processing tool and Agisoft Photoscan 3D to process the final imagery. Daniel has a great summary of the pros and cons of each over at his blog, so I won’t recap them – but in summary, DroneDeploy was a lot faster, while Agisoft PhotoScan had higher quality results but took a longer time and required much more processing power, and also required us to manually fill in some holes in the mesh. Here is the final, orthorectified map. DroneDeploy’s ability to quickly orthorectify 2D maps using cloud processing is definitely handy. In the 3D model, DroneDeploy was not able to incorporate our oblique imagery successfully, although we’ve been in touch about the problem, and they’ve told us it will be fixed. There’s two other problems with DroneDeploy as of this writing: it only works with Android phones and tablets, and it requires either Wifi access or mobile data to function. Both features are in the works, but keep this in mind if you want to experiment with it.In Agisoft Photoscan, which did use our oblique imagery, the sides of the model weren’t as detailed as we’d like – though, some of this is to be expected when mapping an entire complex of buildings. We could probably fix this by taking the time to shoot oblique imagery around each individual building, but this would take quite a bit of extra time and battery power. (I’d like to try it anyway). Overall, I’m very pleased with the Phantom 3 Professional as an inexpensive mapping tool, and I’m excited to see what we can come up with next. I’m also interested in doing more work with DroneDeploy – and I eagerly await the release of the off-line version, which should make it a much more viable tool for field work. What else could we map in the area around Boston?